Rustic and Romantic are goods words to describe J Albert's Quarters. 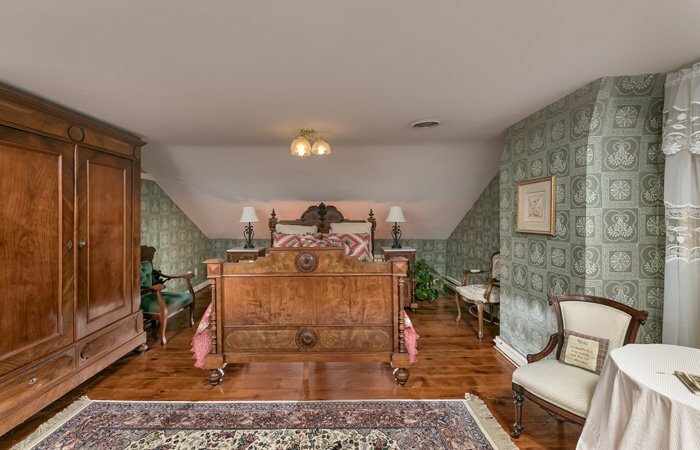 Named for John Emig's middle son and namesake this room is one of our premier rooms and a top choice for our brides and grooms, weary travelers, and couples looking for some special time to reconnect. 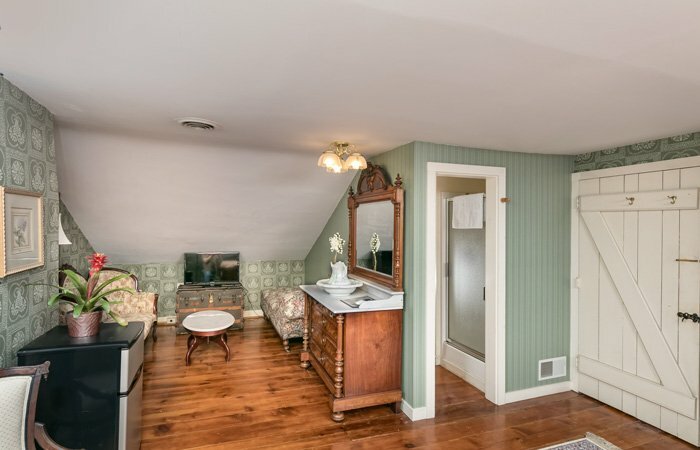 This is a great room to grab a book and enjoy a bottle of your favorite wine as you enjoy privacy and quiet comfort in this room hidden away on the third floor. 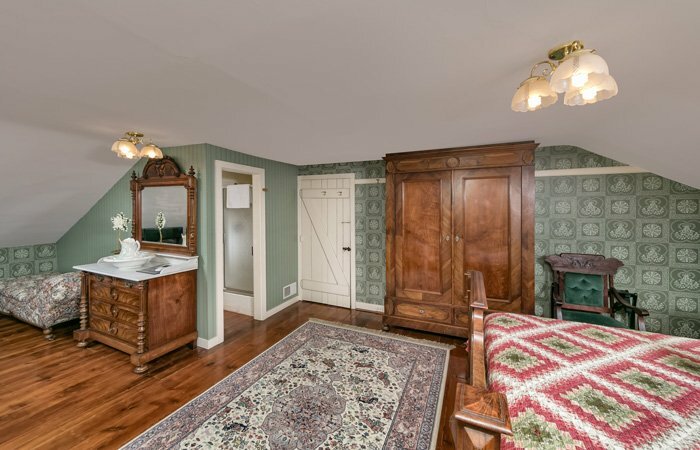 J. Albert's Quarters extends the entire width of the house and you will be charmed by the original wood planked floors and unusual sloped ceilings. The room is furnished with a European crafted suite of furniture, dating back to 1885 and consisting of a queen sized bed, marble topped dresser and end tables and a floor to ceiling wardrobe. You'll also find a lovely set of Victorian table and chairs where you might sit to plan your days itinerary or discuss your future dreams while by the beautiful sunlit window. A comfortable loveseat in a separate sitting area, small refrigerator, and private bathroom turns J Albert's Quarters into your special place.